Ernie Lapointe is Sitting Bull's great-grandson and author of Sitting Bull: His Life and Legacy. Cedric Good House is an addictions counselor who lives in Fort Yates, North Dakota on the Standing Rock Reservation. MS. KRISTA TIPPETT: This hour, we enter what feels like a hidden realm of American religious history — the spiritual legacy of Sitting Bull. He was a leader, medicine man, and Sun Dancer of the Lakota, a vast linguistic group within the Sioux nation that resided across the Northern Plains. After his followers were attacked and defeated General Custer at the Battle of Little Bighorn, the American government and press followed Sitting Bull as public enemy number one. But for many of his people, Sitting Bull’s resistance to federal appropriation of sacred lands reflected humility towards the land and compassion towards his people. His death in December 1890 is remembered as his ultimate moment of sacrifice. We’ll explore Sitting Bull’s spiritual legacy as a force for identity and healing among the living. MS. KRISTA TIPPETT: I’m Krista Tippett. This is On Being — from APM, American Public Media. Tatanka Iyotake was born in or around the year 1831. “This,” his great grandson Ernie LaPointe has written, “is when the Bad Bow band of the Hunkpapa tribe of the Tiatunwa Lakota Nation was camped on the banks of the Elk River, now known as the Yellowstone River, in Montana. Tiatunwa means ‘Looking for a Homesite.’ … The whites mispronounced their name and called them ‘Teton. '” From its very beginning, it seems, the story of Sitting Bull, like the whole drama of the American frontier, is in fact many competing stories. There was ultimately, to be sure, violence all around. But it is stunning to discover how recently layers of the Lakota experience of all of this could be openly probed and expressed. U.S. officials deemed native customs “barbarous” and “demoralizing” and passed the Indian Offenses Act of 1883. 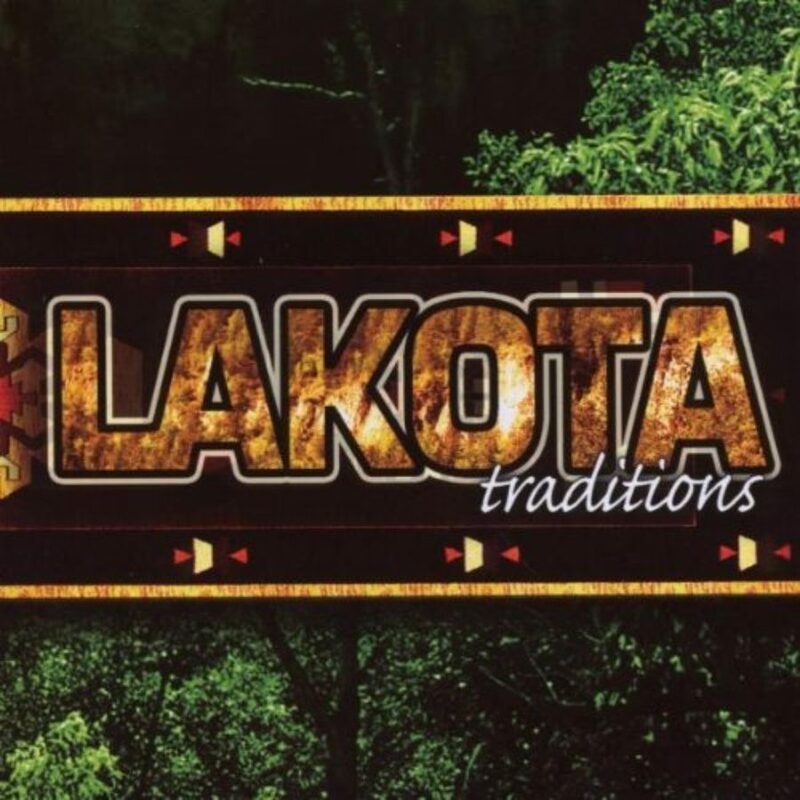 Not until 1978 did the American Indian Religious Freedom Act guarantee the right of the Lakota and other tribes to perform their sacred rituals and ceremonies. And these are at the very essence of Sitting Bull’s legacy. Later in this hour, I’ll speak with Cedric Good House from the Standing Rock Reservation. 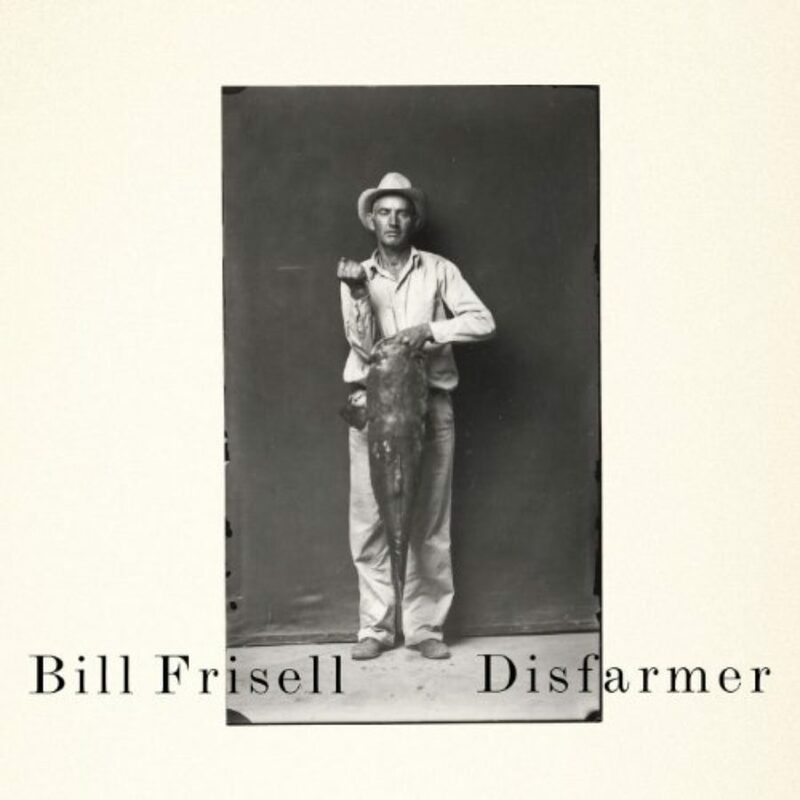 And we’ll hear how songs kept different memories and meanings alive — this song, for example, that Sitting Bull sang to his followers near the end of his life at a moment that history books call the Surrender of Fort Buford. MR. CEDRIC GOOD HOUSE: Our story says it was an exchange of lifestyle. People were starving. He chose that the better would be for them to have food and shelter. So he in turn took his rifle, he gave it to his son; his son gave it to Colonel Buford or whatever his name was. And he’s the one that called it a surrender, but it wasn’t a surrender. It was an exchange of lifestyle. You’re going to give this lifestyle to my son, not to me. MS. TIPPETT: I’m Krista Tippett. This is On Being — from APM, American Public Media. Surrender was not in Sitting Bull’s vocabulary. He never signed treaties with the U.S. government, which he believed could not be trusted — not even a treaty of 1868 that decreed the Black Hills of South Dakota to be territory of the Lakota. Then gold was discovered in those hills — “shining dust,” in Sitting Bull’s vocabulary. And after trying and failing to renegotiate, the U.S. military sought and failed to force the matter at Little Bighorn in 1876. I traveled to Ernie LaPointe’s home in South Dakota in 2009 to hear more. 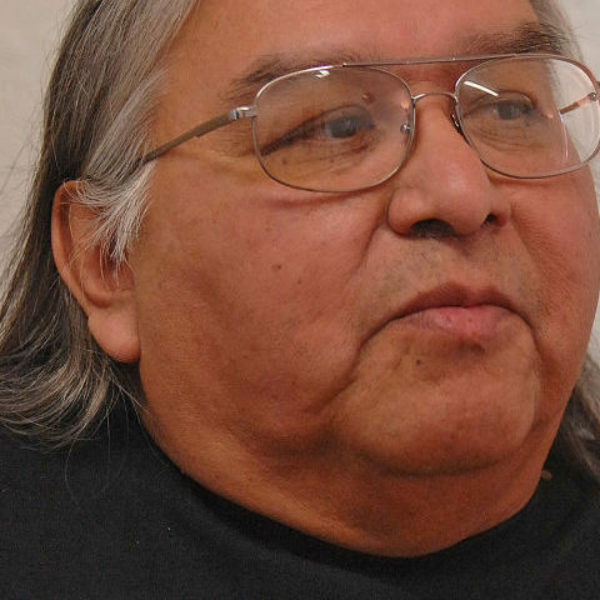 He was born in 1948 on the Pine Ridge Reservation. Now he lives in a house in the Black Hills. We settled in for conversation surrounded by his pipe — or Cannupa — and other sacred objects. Most of the historical record of Sitting Bull has been written by non-Lakota. Most of Ernie LaPointe’s knowledge came through oral history passed on by his mother through her mother, Standing Holy, who was Sitting Bull’s daughter. MR. ERNIE LAPOINTE: They had the visionaries. You know, he was one, and when he was young they called him Hunkesni. Hunkesni is kind of a slow person. You know, he didn’t really act right away. But what they didn’t understand at the time was he always analyzed things before he did it. MS. TIPPETT: What do you think of when you say that? What kinds of things? MR. LAPOINTE: The generosity, the compassion, the fortitude of his courage. He didn’t do things for the art of glory or boasting his accomplishments. And that’s why if you see his photographs, you always see him with just two feathers, one up and one kind of slided to the right. MR. LAPOINTE: That’s dyed red. And, you know, he could’ve had a headdress that had a trail all the way to the ground for all the coups that he accounted. But he was a humble man. MS. TIPPETT: Did you grow up in this Lakota way of life that was also his world? MR. LAPOINTE: In the beginning, as far back as I can remember, when I was told these stories, I was told these stories behind closed doors because we could not burn sage. We could not have these items here like this because if you did the federal government would, you know, arrest them. MS. TIPPETT: When you were a child? MR. LAPOINTE: … when they finally signed it into law that we could do this, you know, where I can have my pipe sitting here like this. And I’m not a medicine man or a spiritual leader; I’m just a person who has a Cannupa, and I walk with it and try to walk with it in a good way to understand the way my great-grandfather walked with his. MS. TIPPETT: You know, I was reading somewhere that in Lakota there are sounds, drumming and singing, that builds body memory and that if the elders sang for you, this becomes part of your body memory, that it’s almost something that you almost genetically pass down. I wondered if also that oral history feels that way in that you carry it forward physically almost. MR. LAPOINTE: Well, basically, the oral histories, that’s the survival of our culture. This is how we survived this long. This is how I lived this long, from the stories. And you’re right. It’s kind of like embedded within your soul or in your spirit. And you seem like you already know when these stories are being told to you. But the difference between what we’re talking right now in this language, I was told these stories in my Lakota language. And the meanings go deeper. When you tell these stories about compassion, generosity, fortitude and all the qualities of a person you’re speaking about, then you try to show through example what you mean, how you exhibited yourself. MS. TIPPETT: And those are the qualities that you stress as qualities of the character. MS. TIPPETT: Of Sitting Bull. And, again, that’s a contrast to this image of him as this warrior alone. You talk about his compassion and his fortitude of spirit, and what I always hear coming through is that he was always seeking wisdom and not merely victory or power in that sense. MS. TIPPETT: What do you think of in terms of stories that you know about him that you cherish that demonstrate that character? MR. LAPOINTE: Well, you know, my mother told me the story when he was a young boy — because in our culture you always take your son to your brother to have him raised because the authority figure is a little different. And when he first went on his buffalo hunt, this was one of the ones that really — as a kid his age — she was telling me this and I had no idea what I would’ve done when I was six years, seven years old, of when he first hunted. And he went in there and he killed a buffalo, this big buffalo bull. MS. TIPPETT: Ernie LaPointe and other Lakota find this early character displayed in pivotal moments of Sitting Bull’s life as an adult — some of the same moments in fact that also made him controversial, among his people and beyond them. For example, Sitting Bull did not actually fight in the Battle of Little Bighorn. He took care of the women and children. White journalists and politicians branded him a coward for this; Lakota tradition saw staying with the noncombatants as proper conduct for a chief of his age. And though Sitting Bull foresaw that improbable Lakota victory over Custer in a vision, he had a companion vision that disaster would befall his people if they responded to that success with any looting or desecration of enemy bodies. Some did. And generations of tragedy did follow that victory. Similarly, what outsiders saw as Sitting Bull’s power play for the Black Hills grew from his sense of those hills as a sacred inheritance, which could only be owned or desecrated by anyone at their peril. MR. LAPOINTE: You know, even from outer space they took a picture of the Black Hills and it looked like a human heart. MR. LAPOINTE: They said it’s the heart of the Turtle Island. We call this the Turtle Island because it’s not the America or it’s not the North American continent or anything. It’s the Turtle Island to us. So, you know, the heart of this country is the Black Hills. That’s why it’s sacred to us. You know, a lot of these stories, they’re not fairy tales, but they’re the stories of our creation and what happened to our people and how things happen. You know, it’s just like stories from Europe, you know, about the Hansel and Gretel or the wolf and the three little pigs stories. Kind of basically like that, but ours are telling you a story about why — the dos and don’ts and why we do. And a lot of these things are shown to us through these stories or told to us through these stories of how we evolved and how we survived and how we are still surviving and how we should be as people to honor, respect the earth and all living things on it. MS. TIPPETT: I like an ancient Roman definition of myth that myth is not about something that never happened, but about something that happens over and over and over again. MR. LAPOINTE: Right. There’s a concept in our culture that we have these instruments here, the pipes, is — I always wondered about the Americans, you know, well, not just the Americans but the world, that they live in history. They’re always studying history, what happened, you know, a hundred years ago or what happened 10 years ago or what happened last year or 10 years ago, whatever. And, you know, they’ve always got it in these books. And, you know, I asked these questions of an anthropologist in Notre Dame and Eastern Michigan University — I had a lecture with them — and I asked them, I says, “What would you do if all your books, your rules, regulations, policies, guidelines, and history books were gone all of a sudden? How are you going to function for tomorrow?” Well, you know, he gave me this big look. I says, “I fill this pipe. I sing my songs. And I ask the Creator, ‘Help me. What can I do for tomorrow? How am I going to make it through tomorrow? '” Because it’s the unknown. So we have to ask the guidance of the spirits, with this pipe say, “Help me.” With the song I sing, with the prayers I offer, and the smoke that I send. And if you really have faith and belief in this, things do happen. Things that are almost impossible in your mind in the beginning come together eventually. MS. TIPPETT: I interviewed Sitting Bull’s great-grandson, Ernie LaPointe, from high in the Black Hills close to Deadwood, South Dakota, not far from Mount Rushmore. Watch and listen to our entire two-hour conversation at onbeing.org. I’m Krista Tippett, and this is On Being — conversation about meaning, religion, ethics, and ideas. We’re exploring the spiritual character of this Lakota Sioux leader; a memory has been lost in American history that recalls him principally as a warrior. As Ernie LaPointe has been evoking, the Lakota spiritual sensibility finds expression in story and song more than text and teaching. And its essential element is ceremony. 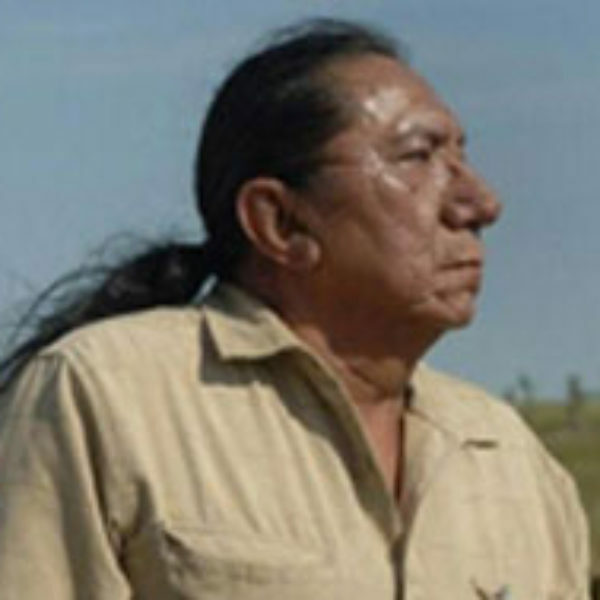 As my producers and I spoke with a number of Lakota and others as we created this program, we encountered their desire to distance themselves from popularized forms of what is branded “Native American spirituality.” But delving into Sitting Bull’s spiritual legacy among his people does become a kind of introduction to ceremonies like the vision quest and the Sun Dance with which he is closely associated. MR. LAPOINTE: See, most history books are written about my grandfather said that he was a chief or medicine man. MR. LAPOINTE: Which he was, both. But through ceremony I was informed that he would like to be recognized as a Sun Dancer. The Sun Dance is about the survival of a culture and you’re doing this for the people. You don’t do it for yourself; you’re doing this for the people. You give your blood, sweat, tears, and you give all your energy. MS. TIPPETT: There are physical piercings that are involved in it. MR. LAPOINTE: Right. And everything you do out there is for the survival of the people, survival of the food sources, which is the four-legged: the buffalo, the deer, the antelope, whatever. And they say when you’re ready to do this, to commit to the Sun Dance, you should be able to understand or to get rid of all the wild oats or however you want to say. Understand the wildness, the craziness, and whatever. When you reach that certain plateau, they say usually around 30 years old most times. MS. TIPPETT: You have to have a level of maturity. MR. LAPOINTE: And you start to understand what your life here is about. And with me, I didn’t reach that maturity until I was in my 40s. I turned 41, I think, when I first Sun Danced. So it took me 40 years. I had to go through the trials, tribulations, mistakes on my own merits of my life and my own understandings of many things before I turned my life to my culture again. A lot of it — most of my years were going through post-traumatic stress disorder from Vietnam. You know, flashbacks and all this, nightmares that I was having. And I was trying to self-medicate myself through alcohol and drugs and all this, you know, but eventually I turned my life back around to my culture to understand why I’m having these things. And through ceremony, they tell me it’s not a mental thing, as the VA is trying to tell me; it’s a spiritual wounding. And we had a way to protect ourselves and we didn’t do that. So that’s when my understanding just started coming back. As you were saying, it’s in my genes or DNA. I already knew. MS. TIPPETT: What do you mean when you say, “We had a way to protect ourselves and we didn’t do that”? MR. LAPOINTE: See, this is where in the movies, you know, you turn on the old Western channel here and you see Charlton Heston or somebody sitting there going, “Oh, the Sioux have their war paint on.” OK? MR. LAPOINTE: You know, it’s not war paint. It’s a protection. And every individual who goes onto a ceremony, who does a purification ceremony or whatever, you go through a process, I guess you might say, either through purification or through Hanbleceya, which is I guess is the closest you could say is a vision quest. And at that certain time they show you some colors and how to apply on yourself. So if you see most guys out there back in the time when Sitting Bull was around, you see these guys with the certain paint markings on their faces and their bodies. It’s not war paint; it’s a protection for your spirit. And they tell us that we have a body, we have a mind, we have a heart, and we have a spirit. These four things make up who you are. And your body, your mind, and your heart understand life, death, and tragic events, but your spirit is the vulnerable part. MS. TIPPETT: … availing yourself of that protection and that knowledge? MR. LAPOINTE: Right. You know, with myself it’s a difficult life, and I understand my great-grandfather’s frustrations with the government. He’s trying to live with the earth and get the people to understand that they should understand his people’s way of living with the earth. Whereas with me, it’s trying to survive. And then individuals like yourself and others around the world asking me these questions about my spiritual way, I think the tide is starting to turn a little bit so people understand how we survived this long as natives. MR. LAPOINTE: And we had to have faith. We had to have conviction. We had to understand that eventually there’s going to be a time when the earth is going to be the victor in all this, not us. MS. TIPPETT: You and your family have had a pretty remarkable few years, as the Smithsonian has identified you as the closest living blood kin to Sitting Bull. MR. LAPOINTE: Right. The lineal descendants. MS. TIPPETT: The lineal descendants. From what I read of your accounts and have heard of your accounts of it, it’s almost like a reconciliation with your great-grandfather’s spirit or sort of bringing his journey full circle in a sense. And you had a physical manifestation of that. You had the repatriation of his leggings and some of his hair. I wonder if you would tell me, you know, about that and what that’s meant to you. MR. LAPOINTE: Well, I think when we first seen it, I didn’t really believe that anybody would do anything like this because we never knew that they’d taken a lock of his hair or his leggings. MS. TIPPETT: Was it the U.S. military who took it? MR. LAPOINTE: It was the post surgeon at Fort Yates in 1890 who did that. His name was Deeble and he took them as souvenirs. In 1896, he donated them — he put them on loan to the Smithsonian Institute but he had no descendants so the Smithsonian had them all those years. And then the government came up with NAGRPA, the Native American Graves Repatriation Protection Act. And when they came out with that, then they had to return all religious items, body parts and all that, back to the descendants or to the tribes. So that’s when they started doing research. MS. TIPPETT: So they had to find you. MS. TIPPETT: They had to determine that you were the person to receive this. MR. LAPOINTE: When the repatriation happened, I think it was December 7, 2007, we were at Washington, and the only thing that really touched me was what my wife said. They asked, “How do you feel?” You know, like you just did. And she said, when we walked out of the Smithsonian Institute she said, “Our grandfather’s going home with us.” And that was more than enough for me to say, “Well, now he’s away from this place. You know, he’s home with us now.” So December 15, 2007, we did a ceremony here with the hair and the leggings. MS. TIPPETT: Can you tell me about that ceremony? MR. LAPOINTE: Well, I brought in my friend, he’s a medicine man, and he’s a Sun Dance leader, and I asked him if he could do this. And he was all nervous, you know. He said, “I’ve never done this before.” And I said, “I’ve seen you at several ceremonies.” He said, “No. I never actually brought Sitting Bull’s spirit into a ceremony like this, invite him.” So I told him, I said, “Well, you’re humble. I’m humble. I think we can make it through this.” So we did and the spirit of Sitting Bull was here and he acknowledged that the hair and the leggings were his. And I asked him, I didn’t know what to do with them, “What should I do with these items?” Right? Well, he told us to put them leggings away for safekeeping. You know, they’re not — can be put in a museum or for show because they’ve been sitting in the Smithsonian. And the hair, he said, he needed. We had to burn it because it was his. Well, before this time an ancient DNA specialist from Denmark, Copenhagen University, was here. He wanted to know if he could do a DNA on the hair, and I said, “Well, I can’t give you permission.” I said, “It’s not my hair.” So we asked and the spirit said give him so much of it, about two or three inches of it. Cut it off the end. And, you know, he kind of said, “I know who I am and I know my grandchildren are here. But, you know, this is a scientific thing. You know, the world, they wanted to know.” So he allowed him to. So he’s having a heck of a time with it, though, because the Smithsonian coated the hair with cyanide. That’s how they preserve it. MR. LAPOINTE: It looked just like it was shiny and like this. Like it had just been cut off. MS. TIPPETT: Mm-hmm. And why did you have to burn — why did the rest of it need to be burned in the ceremony? MR. LAPOINTE: Right. He said it goes back and what really amazed me was, you know, we burned the hair and my wife and I, I says, “Well, where are we going to put this now?” Well, we established — we know the area where he was born, south of Miles City, Montana, about maybe 10 or 15, maybe 20 miles. There’s a little state park there. It’s a beautiful place. So we went out there, and Sonja and I decided maybe we should take the ashes and just dump it out there. So we went. It was in July, I guess, in the summer and we pulled in and we stopped at the park and we started walking. And I was carrying this little container with the ashes and I looked down and there laid this rattlesnake. It was probably three or four, maybe five feet long. It had rattles about that long on it. It was laying there, and my wife almost stepped on its head, probably about an inch or two from its head. And she yelled and I yelled and we jumped and the snake, I said, “Is it dead?” because it wasn’t moving. But you could see its tongue; every now and then it’d come out. So we went on and I did a ceremony out there, sang a song or two, and then I offered tobacco and threw the ashes out there on the field along the creek there. And on my term, I was looking at it, I said, “Man, he left me some deep footprints to walk in.” You know, and it’s amazing that I really have to tell these stories in a humble way, you know, his story because I don’t want to say something that wouldn’t sit right with him. MS. TIPPETT: Because you’d know about it. MR. LAPOINTE: Yeah. I would know about it. Yeah. He would let me know. MS. TIPPETT: The Smithsonian still holds a set of 22 pictographs drawn by Sitting Bull himself in 1882, while he was a prisoner at Fort Randall in South Dakota. These autobiographical drawings depict his exploits as a warrior; they also give a sense of the man as an artist. He drew himself and other people in a rather angular, two-dimensional form but his mounts (or horses) with astonishing detail. To learn more, go to our website and watch a narrated slide show with Candace Greene, an ethnologist from the Smithsonian Institution’s National Museum of Natural History. Her expertise on Sitting Bull’s watercolors teases out the subtle particulars of symbols and his signatures. MS. CANDACE GREENE: And that’s a unique information that he’s providing about his own medicine, his own spiritual power that is found only in his drawings. It’s not recorded elsewhere in information about him. And that was typical that men may not have spoke much about their medicine power. They displayed it visually in many ways but not in words. MS. TIPPETT: See Sitting Bull’s drawings and hear more of Candace Greene and other commentary at onbeing.org. And while you’re there, you can listen to my entire, unedited interview with Ernie LaPointe in his home. MS. TIPPETT: Coming up, Cedric Good House of the Standing Rock Reservation on Sitting Bull’s legacy of healing — even in the place where he died at the hands of members of his own tribe. In American history books, Sitting Bull is remembered as the celebrity warrior who triumphed at the Battle of Little Bighorn in 1876. Among his people, he is remembered as a compassionate chief and spiritual leader. This is increasingly important in the present, it seems, as tribal healing of old wounds continues to happen on many levels. For Sitting Bull’s legacy also embodies divisions that arose among the Lakota as part of their encounter with the Wasicu — or non-natives — as the Western frontier was settled. Some Lakota signed treaties with federal authorities, seeing that as their best hope. Sitting Bull refused, and he and his followers were deemed “hostiles.” He led a nomadic existence after that, pursued by U.S. government agents, who also commanded a corps of Indian police. And members of Sitting Bull’s own family circles were implicated in his death. I also spoke with people in and around the Standing Rock Reservation in 2009, to understand how Sitting Bull’s legacy lives and functions there. Cedric Good House is a member of the same band of the Lakota as Sitting Bull, the Hunkpapa. He works as an addictions counselor and lives in Fort Yates, on the North Dakota side of Standing Rock. It straddles both the Dakotas. Cedric Good House came into a studio in Bismarck to speak with me. And he brought his family. 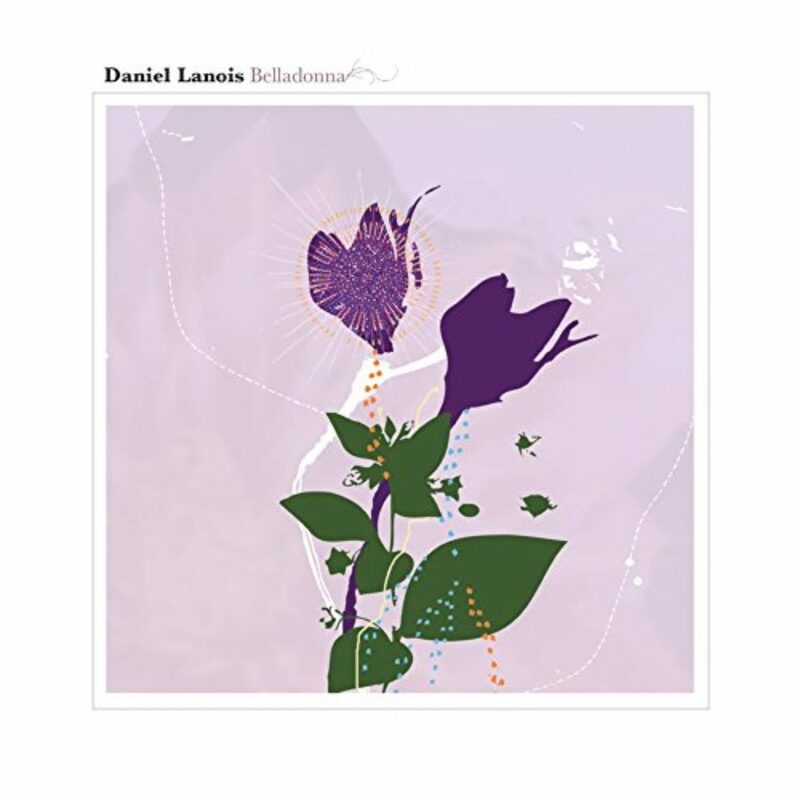 In word and song, they evoke a collective memory of Sitting Bull as a leader of humility, passion, compassion, and sacrifice that form the Lakota sense of self into the present. MR. GOOD HOUSE: See, in his time Sitting Bull was — people forget that he was a visionary and he was a man of visions. And our belief is that he knew his time was coming, but there would be a time in the future where we would need to reach back into our history and grab those strengths to carry us in times where there’s going to be this social upheaval, you know, where the threads of society come unraveled. That there would be a time when we would need to have these types of strength that would bring us. MR. GOOD HOUSE: You know, that would secure our future. And those were some of those teachings. You know, so some of our greatest tragedies, when you look at how we view life in a circle is we can turn those tragedies into strengths. MS. TIPPETT: So I think you’re also saying that it wasn’t even so much that people would talk about Sitting Bull but that what he taught and modeled was — is part of — of kind of a sensibility, of a way of living. MR. GOOD HOUSE: Yeah. He was an example. You know, the more faith you have, the more confidence one has. And we got that through practicing ceremonies, you know? 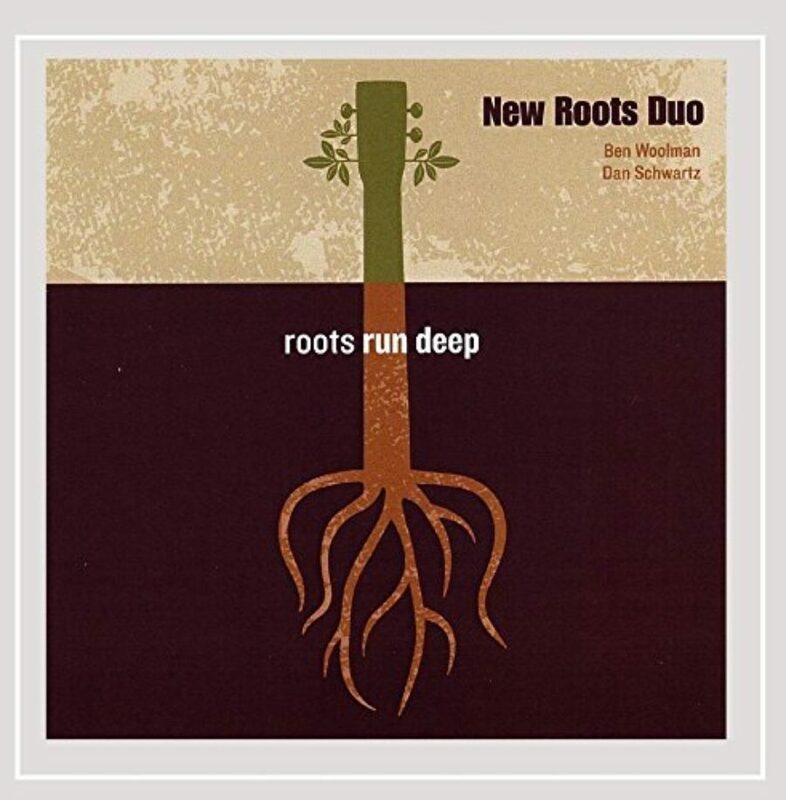 MR. GOOD HOUSE: And the greatest one right now is being able to have those visions and how we have them, there’s a ceremony that’s been gifted to us through the sacred pipe where we build our faith through that. And that’s the vision quest, or the Hanbleceya, you know. MS. TIPPETT: And is the vision quest as important for you in terms of Sitting Bull as the Sun Dance? Because I think other people emphasize his part in the Sun Dance. MR. GOOD HOUSE: You know, I think that’s really a good question because today we see people making a choice to enter the Sun Dance circle without being spiritually guided and you’re spiritually guided by the vision you received through fasting and praying. MR. GOOD HOUSE: Through the vision quest, through the Hanbleceya, where we practice where Sitting Bull lived, Sitting Bull’s camp. We still practice that way. Once you go in, there’s no more food, there’s no more water. You’re obligated to fulfill that commitment. Plus, you’re also obligated to tell us what brought you to that circle. You know, I’m a part of what you call the wakitchus. It’s kind of like a committee made up of about 12 of us, 12 men, that ensures the integrity of that ceremony. MS. TIPPETT: So, again, you know, for many generations I think Sitting Bull came down in American history as this kind of a military political leader, and it’s very clear to me that he was very much a spiritual leader for his people and that that’s his legacy. And if I ask you to explain, you know, what that means for you, or is that even a term you would use — what language would you want people to hear around this? MR. GOOD HOUSE: The reason why we know Sitting Bull the way we know Sitting Bull is because of all the non-Indian documentation that’s been done on Sitting Bull. So a lot of opinions and beliefs and how people have patterned and whatever we derived from that is usually derived from all those writings over the ages, but when you look at the people, when you actually go to his people, you see Sitting Bull in those people. And this leads me to his song. You know, his song says this. The words to his song says, “My friends — ” he says, “My friends be strong because me, I am nothing. But who you will see as Sitting Bull is who you will see.” So what he was saying in that is that he put everybody before him. So when you come to the Grand River Valley there and to where his people are at, you will find that people will probably gift you with the best they have, you know, and make you feel the most comfortable and at ease during your visit. And you will find that a lot of them do that, they put other things, from children to the elderly, to everything else first. So you see that in people. I believe there has been a term, a phrase that’s been coined now, they call is servant leadership. MR. GOOD HOUSE: So that spirit is working yet today in his teachings. MS. TIPPETT: When you say Sitting Bull’s song, does that mean this was the song that he sang? MR. GOOD HOUSE: That people sang for him. MS. TIPPETT: OK. In his lifetime or after? MR. GOOD HOUSE: Yeah, in his lifetime. MR. GOOD HOUSE: Yeah. I’m going to ask my son to sing that song. MS. TIPPETT: OK. We heard that your son has a beautiful voice. MR. GOOD HOUSE: Yeah. Well, that’s how these things continue to live. MR. GOOD HOUSE: They have a ride down to Wounded Knee every year from December 15th to December 29th. They ride horseback down because after — when Sitting Bull was killed on the 15th of December, a lot of his people left and they all went towards Pine Ridge that they called Red Cloud Agency at the time, and then Wounded Knee subsequently happened. But they left in the dead of winter and over about a three- to four-day period and some 40-some they say, 50, 60-some Hunkpapas are down there in a mass grave of 300-some mostly women and children. But we sing that in remembrance of him, honor him, on December 15th. And then that’s part of the activities that go on that day. And then again after we get down there on the 29th, sometimes we’re there, sometimes other people are there. Sometimes that song is sung or they sing other songs too as well. 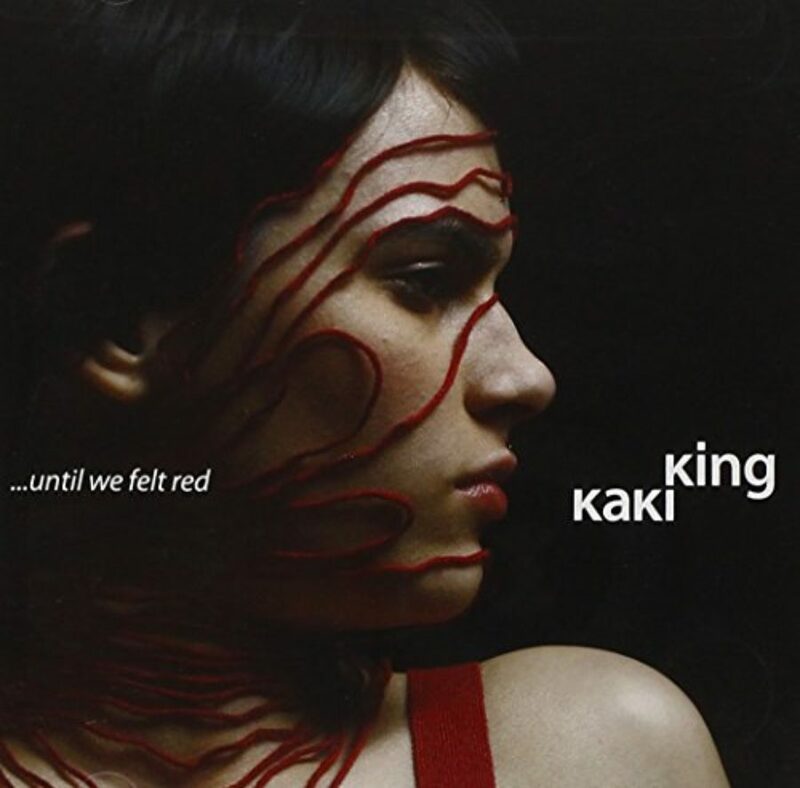 Our history is in our songs. MS. TIPPETT: Listen to Cedric Good House’s son and wife, Rick and Sissy, singing this and other songs and explaining their meanings. That’s at onbeing.org. 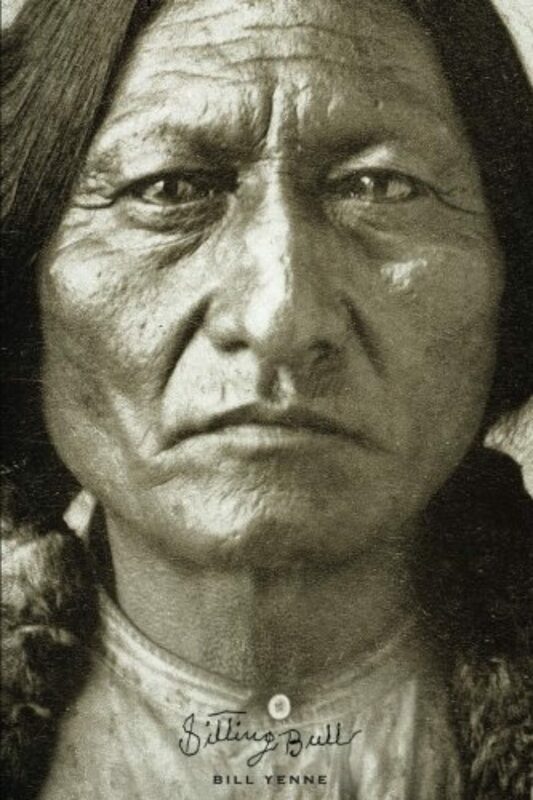 Sitting Bull died on December 15, 1890. Though there has never been perfect clarity about what happened, we know this: A famously zealous U.S. official, James McLaughlin, worked in tandem with the military to send a unit of Indian Police to arrest Sitting Bull at the Standing Rock Reservation. In the struggle that ensued, Sitting Bull was killed. Cedric Good House has been part of an initiative at Standing Rock in recent years — to shape some of the ceremonies with which Sitting Bull was so closely associated as sources of healing. MR. GOOD HOUSE: The man that had the vision, his name is Isaac Dog Eagle, and he is related. You know, you could follow his lineage and it’ll come to Sitting Bull and it’ll go beyond that too, you know. But he had the vision to one day go back out there and to have this ceremony out there. In the Sun Dance, the Wiwang Wacipi, when you interpret it into the English language, you lose a lot. MS. TIPPETT: Yes, I got that. Yeah. MR. GOOD HOUSE: So the Sun Dance ceremony is so that the people may live. That’s why you do this ceremony. Sacrifice so that the people may live. But prior to having this out there on where Sitting Bull was killed, they had to have what they called Hunkapi ceremony, the Making a Relative ceremony, so that’s what they did. We got together and we asked all the people that were associated or had any involvement in that tragedy that occurred back in 1890, December 15th, and that means all the police, their descendants and relatives, and even the McLaughlins, you know? MR. GOOD HOUSE: Yeah. So we offer them all to come. And then all the people, like Isaac, he asked all of us to bring food and to bring clothing and to bring water and we would make them relatives so that we can grow from that, you know, because it happened among our people. MR. GOOD HOUSE: So that’s what we did. We had this Hunkapi ceremony before we could proceed on. And this took place some — I gauge it on my son’s age. My son is 24, and the first year we had it, my wife was carrying him. MR. GOOD HOUSE: So, you know, it was 25 years ago that we had this. The first time that we had it out there. But it was through a vision that we would go back there and we would start this healing process among our people. MS. TIPPETT: This is a song Sitting Bull sang to his followers at a moment that history books call the Surrender of Fort Buford. MR. GOOD HOUSE: Actually, it wasn’t a surrender. You know, our story says it was an exchange of lifestyle. People were starving. He chose that the better would be for them to have food and shelter and that morning he walked around the camp and he sang the song. And it was him, Sitting Bull, telling his people how once we were fighters and now, you know, that’s not going to be no more, almost like a longing for not to forget this way. MR. GOOD HOUSE: Today, there’s a lot of things that we’re going through. You know, people are talking language, they’re talking a lot of things. But governmentally-wise if you come to Standing Rock, even here in Bismarck, you know, you find things that are just predominantly from that time. You see here in town Grant Marsh Bridge. We pass by Fort Lincoln. We pass by Custer’s house. On Standing Rock, there’s a town called McLaughlin. It’s just infested with that type of mindset yet. There was a lot of things we need to heal from and continue to and it’s happening. Bull Head, the people of Bull Head changed that name to Rock Creek. You know, how that area used to be known in our language, Rock Creek. And then the same way with Little Eagle. He was a policeman, but they changed that town’s name to Running Antelope to honor the chief at that time, Running Antelope. So there’s a lot of things that have changed since that, and it’s steadily and we’re continuing to pray, you know, continuing to have the ceremony where we make relatives and continue to pray so that our people may live. MS. TIPPETT: Cedric Good House. 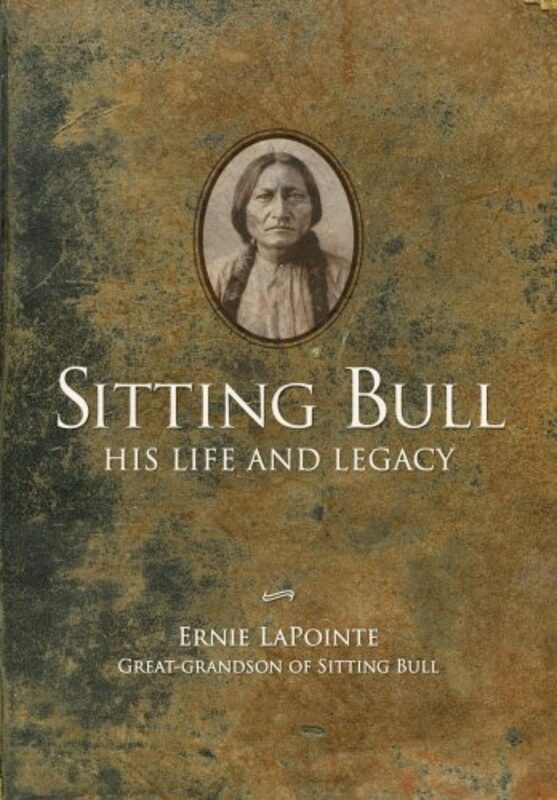 MS. TIPPETT: In closing, here is one final story from Sitting Bull’s great-grandson, Ernie LaPointe, who has traveled and spoken across the world in recent years. MR. LAPOINTE: This is another one that goes back to when he was — his first Sun Dance where he, in his trance that he was in, he went through his life stages. And his teenage years, he’s walking through this prairie and he heard this voice calling for help so he went over to the ridge and he seen this wolf laying there with two arrows in its side. Somebody shot the wolf. And the wolf told him, he said, “Boy, come here and help me.” So he went and took the arrows out of his side and dressed the wounds, stopped the bleeding. And after he prayed for the wolf and stuff, the wolf finally got up and he started to walk away. And as he walked away, he turned back and he looked at the boy and he said, “Boy, for helping me, the nations will know you just by your name.” And I guess he didn’t realize that the world was going to know him just by his name. So I always wondered, you know, that wolf, really, he predicted something to him that he didn’t realize, I guess. I mean, I understand now but he probably didn’t realize that the world in this 21st century is going to know who he is just by his name, you know. MS. TIPPETT: Ernie LaPointe is the great-grandson of Sitting Bull. He’s the author of Sitting Bull: His Life and Legacy. He lives in the Black Hills of South Dakota. Cedric and Rick Good House live in Fort Yates, North Dakota, on the Standing Rock Reservation. MS. TIPPETT: At onbeing.org, listen to these unedited conversations and watch my meeting and conversation with Ernie LaPointe at his home in the Black Hills. I made a ceremonial offering of tobacco as we entered his home. We did an unusual amount of historical research to prepare for this show. And we’ve documented it all on our website. Retrace our steps, if you’d like, and explore other voices who helped us piece together and verify a picture of Sitting Bull in his lifetime and in ours. One of them, Patrice Kunesh, is a law professor at the University of South Dakota. She’s also of Hunkpapa Lakota descent. One of her relatives was a translator and tracker for the U.S. official who ordered Sitting Bull’s arrest. For Patrice Kunesh, Sitting Bull’s legacy is about cultural survival and, as she puts it, “the endurance of … family relationships.” Find all this and much more at onbeing.org. There are also links and discussions on our Facebook page and through our Twitter feed @Beingtweets. MS. TIPPETT: This program is produced by Chris Heagle, Nancy Rosenbaum, and Susan Leem. Anne Breckbill is our Web developer. Special thanks this week to Carole Barrett, David Born, Candace Greene, Sonja LaPointe, Patrice Kunesh, Jerome Kills Small, Ron His Horse Is Thunder, the Minnesota Historical Society, Donovan Sprague, Judy White Bull, Mary Louise Defender Wilson, and Bill Yenne. “The number one objective of my Olympic pursuit was to heal a broken soul.” Gold medalist Billy Mills set a world record in the 10,000-meter race at the 1964 Games. He shares how running created a refuge for spirituality and personal growth.